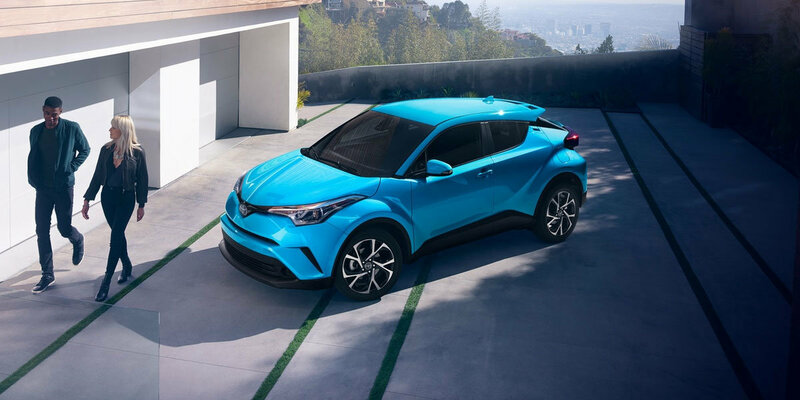 Toyota’s new 2019 Toyota CH-R kicks it up a notch fusing comfort, high-tech safety features, and performance-all into a well sculpted design! With a modest starting price of just $22,040, Lawley Toyota offers the new, stylish Toyota CH-R for a fun driving experience while cruising the Silver City area. The 2019 Toyota CH-R can be customized to suit your taste. The R-Code paint treatment, 17” wheels and Halogen/LED headlight clusters, give your 2019 Toyota C-HR unique road presence. This freshly re-engineered Crossover SUV is sure to turn heads whether you are driving through the Gila National Forest or the Silver City Downtown Historic District. 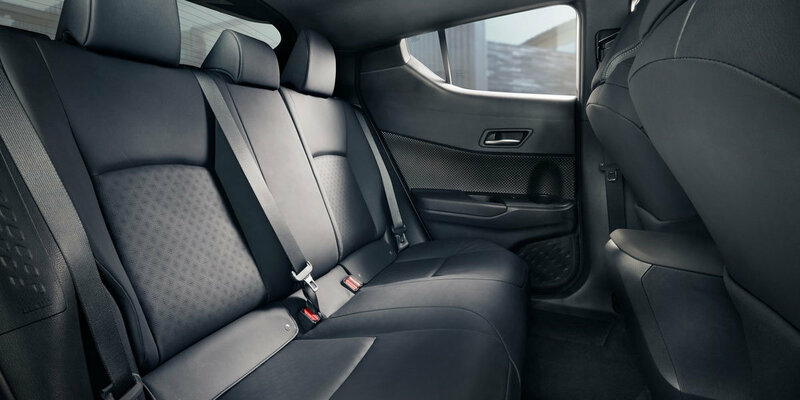 The interior style brings front bucket seat comfort and 60/40 split rear seats for versatile configuration. 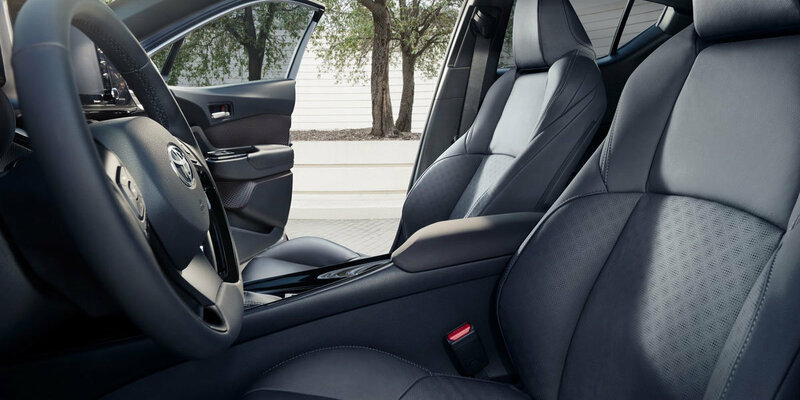 Leather trimmed seating or Premium cloth and a satin-plated shift knob give the driver a refined elegance or trendy feel when behind the wheel. Standard dual zone climate control will keep all riders comfortable no matter how hot or cold it might get. Technology is not lacking in the 2019 C-HR. An 8-inch touch screen display lets you access and control the Entune™ 3.0 App Suite and Apple CarPlay© and 6 speakers will fully immerse you in the experience. The 4.2-inch TFT Multi-Information display provides your go-to info for Toyota’s Safety Sense™ P (TSS-P) technology suite, making personal and passenger safety a priority. 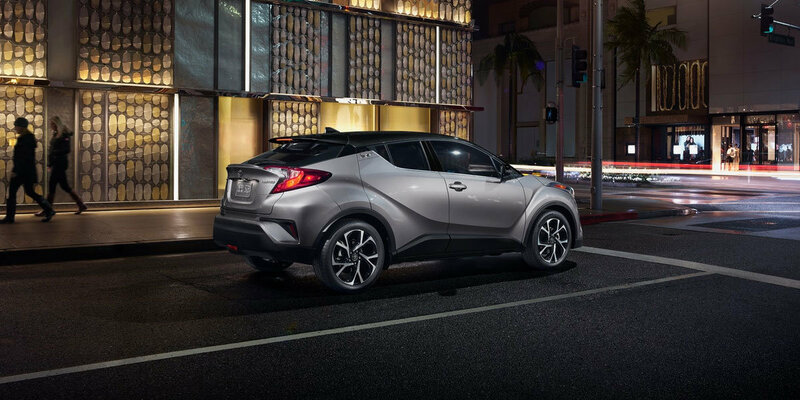 With a sport tuned suspension and a lively 2.0-liter, inline 4-cylinder Dynamic Force Engine, the 2019 C-HR manages an impressive 27/31 city/highway mpg. No need to choose between performance and fuel economy! Lawley Toyota offers the perfect ride packed with performance and features for a vibrant “small-town” style of living. Call us (888) 538-3777 or contact us now and experience the 2019 Toyota CH-R. Silver City residents, Bayard and Deming, are all serviced with Lawley Toyota’s huge selection of new Toyotas for sale.